Approved for 1.5 hours of RACE CE credits. 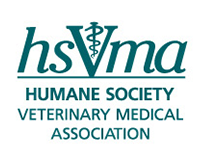 Registration is FREE for HSVMA members. Lack of access to veterinary care is a complex societal problem with multiple causes but it is primarily associated with low socioeconomic status. Simply stated, millions of pets do not receive adequate veterinary care because the costs are beyond the family’s ability to pay-making access to veterinary care the most significant animal welfare crisis affecting owned pets in the United States. It results in the suffering and premature death of pets, the sorrow and heartache of pet owners, and the anguish and grief of the veterinary professionals who have the knowledge, skills, and desire to provide care. Increasing access to veterinary care is a societal goal-that is, all pets deserve some level of veterinary care. Register here.